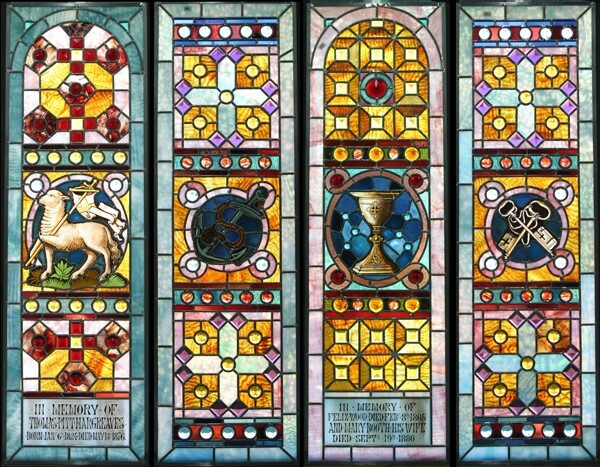 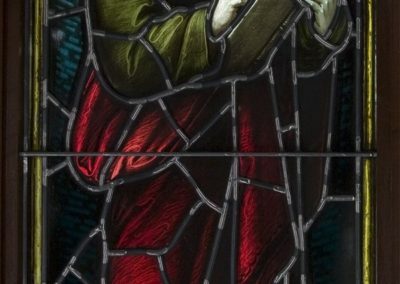 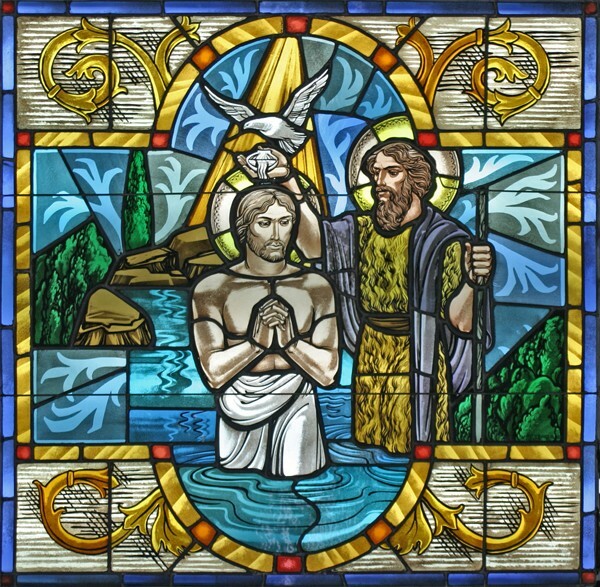 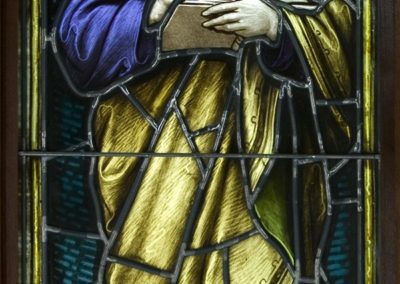 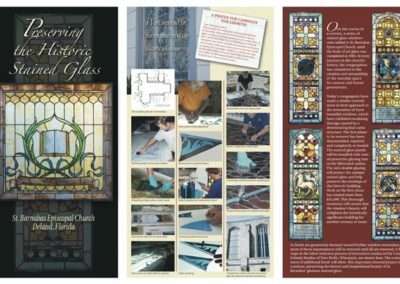 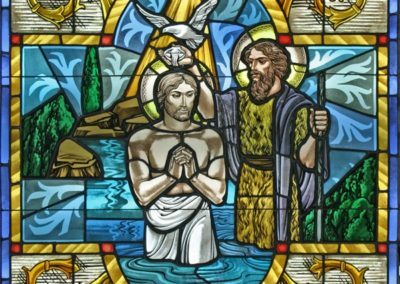 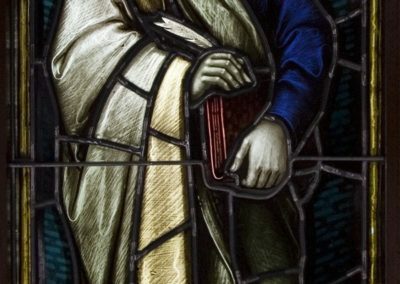 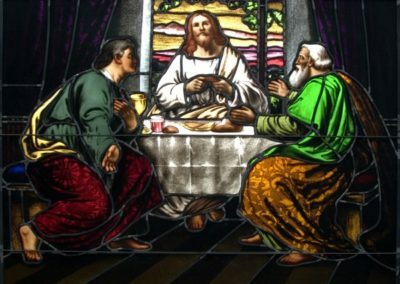 Conservation and restoration of historic stained glass windows for St. Barnabas Episcopal Church, DeLand, Florida. 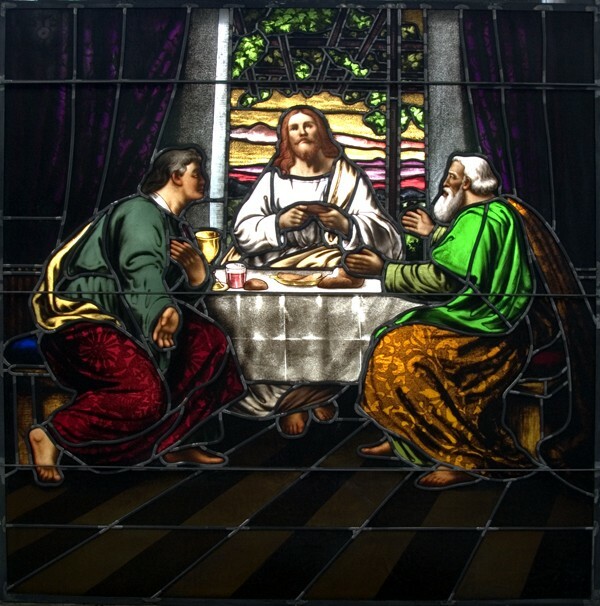 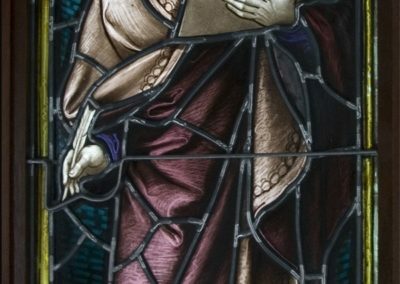 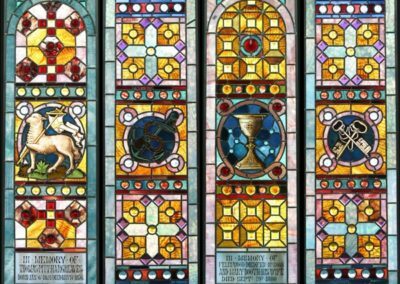 Most of the stained glass windows were originally crafted by the Louis Comfort Tiffany studios in the late 1800s and early 1900s. 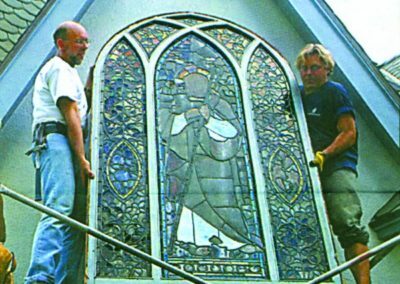 Conrad Schmitt Studios removed and transported the stained-glass windows back to the Studio for the conservation and restoration work. 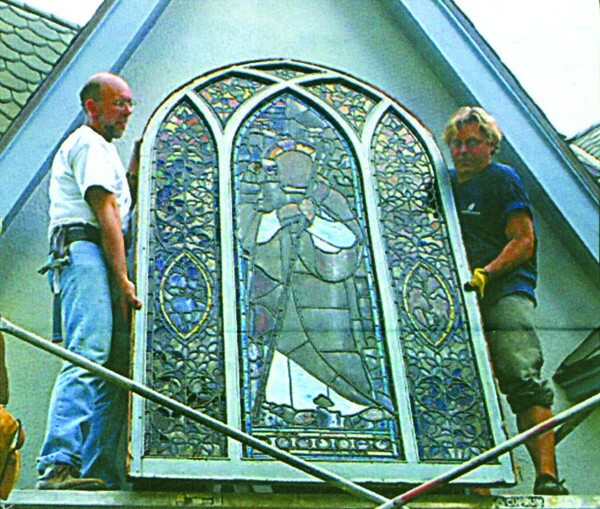 While the windows were gone, large transparent photo prints of the glass were placed into the window openings creating the impression of the real windows.